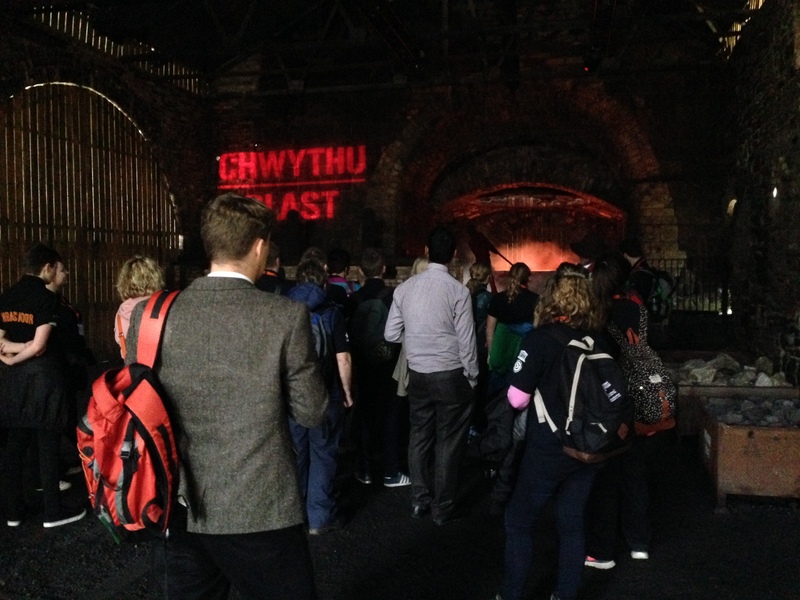 The Blaenavon Industrial Landscape World Heritage Site, inscribed in 2000, hosted the fourth UK UNESCO World Heritage Youth Summit during 20th-22nd October 2015. Blaenavon follows the successful summits held at the World Heritage Sites of the Jurassic Coast (2009), New Lanark (2010) and Maritime Greenwich (2012). The theme of the 2015 summit was ‘How can we use World Heritage to change the place we live in for the better?. Over 100 young people aged between 13 and 25 descended upon the World Heritage Site, from all across the UK, with many successful in a competition to represent their local World Heritage Site. 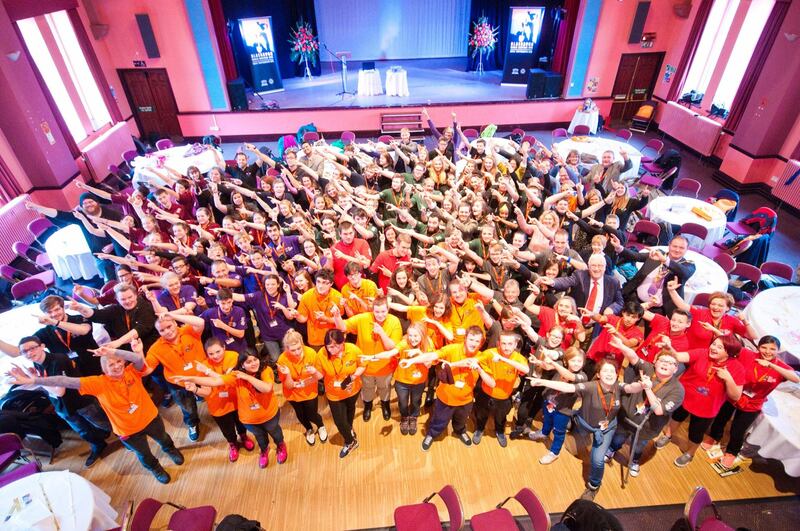 Successful students were from Dorset Youth Council (DYCE) representing the Jurassic Coast, students from the Titus Salt School representing Saltaire, as well as young people from the Hereford and Malvern Sea Cadets and the Egypt Centre, Swansea. The Egypt Centre entry was the winner in the creative artwork based competition. 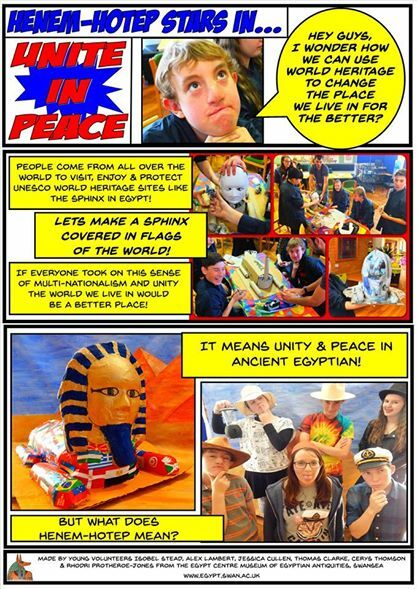 The sphinx made out of recycled materials, and decorated with the flags of the world, was designed to symbolise world heritage, cultural tolerance and peace. The summit provided an opportunity to celebrate and learn about World Heritage and how culture can change the World. What was most obvious was that it was a fun yet intensive opportunity for young people to develop their personal skills (confidence, team working, social and personal development) through team-building exercises, as well as their knowledge and understanding about World Heritage, through an in-depth experience of the Blaenavon World Heritage Site. Over the course of the 2 days, there was a packed schedule which included visits to the key attractions and sites of Outstanding Universal Significance within the Blaenavon Industrial Landscape such as Big Pit National Coal Museum, Blaenavon Ironworks, a trip on the Blaenavon heritage railway, a guided walk through the industrial landscape (Garn yr-Erw, Dyrne-steel incline, Hill’s tramroad and the Monmouthshire and Brecon canal) and town of Blaenavon. During the summit, I had the opportunity to discuss the value of the World Heritage inscription with many people from Blaenavon- from the local residents, to the county councillors, the local MP, the steering group, World Heritage managers and youth ambassadors. What was most apparent was their pride in the inscription, 15 years on, and the direct benefits it has produced. It was great to see that they also were open about the challenges about the management of the sites including both man-made and natural threats during the guided walks and a debate on the benefits and challenges of World Heritage inscription. It is clear why Blaenavon is a commonly cited example of a site where World Heritage inscription has not only positive transformed the site physically and economically, but also socially through the new World Heritage identity. It was truly inspirational. The keynote speaker was 23 year old Youth Peace Ambassador Rimesh Khanal from Nepal. Rimesh is the founder of Nepal’s Youth’s UNESCO Club and organised the country’s first Youth Peace Festival. He gave an emotional presentation about the devastating effects of the 2015 earthquake, especially their World Heritage Sites and the centrality of the youth in the countries rebuilding. Most poignantly he stated that, if someone comes to his country and asks about its heritage, what can he show them now? Hopefully Rimesh’s presentation made all delegates appreciate and value their heritage even more. One of the outcomes for the summit, was for the students to become champions for World Heritage. 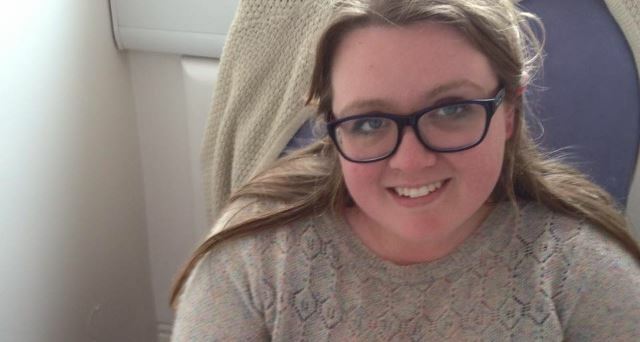 Through a HLF funded World Heritage Ambassadors initiative which is being piloted in Blaenavon, it is hoped the summit will inspire other World Heritage Sites to become part of this and to empower young people just as Blaenavon has successfully done. 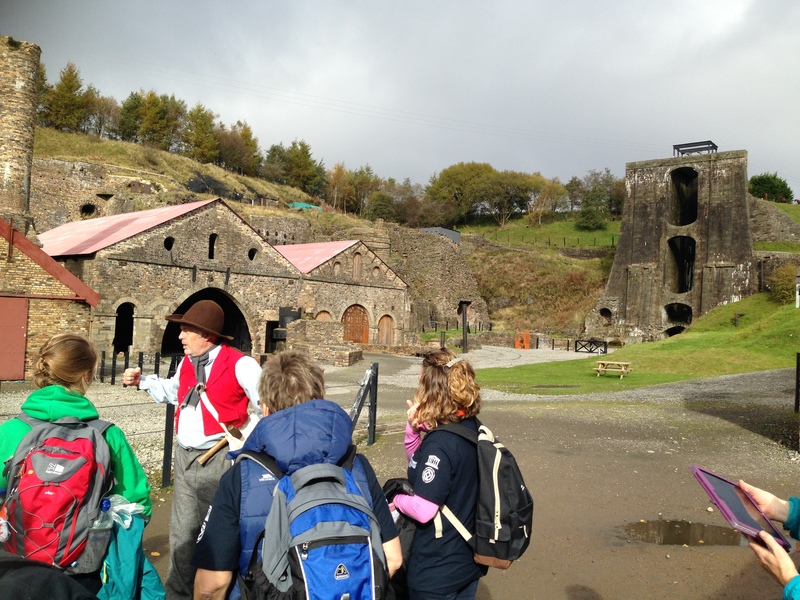 It was the Blaenavon World Heritage ambassadors who developed all aspects of the youth summit programme and who were central to the management of the summit including leading the youth groups and activities including teambuilding challenges and guiding a tour of the town of Blaenavon. Therefore please get in touch with the Blaenavon team if over World Heritage Sites are interested. During the summit, I was speaking to a number of stakeholders of the Blaenavon World Heritage Site and stressing that aside from the World Heritage ambassadors initiative, they could provide a voice for young people in World Heritage by allowing a youth representative onto the World Heritage Steering Committee. I also propose that other World Heritage Sites consider this. Following two World Heritage Youth Summits in England, one in Wales and one in Scotland, I hope the the World Heritage Sites of North Ireland and the overseas territories could consider holding a future summit…. Da iawn Ashleigh a Dan! Well Done Ashleigh and Dan! The summit was held under the patronage of UNESCO and sponsorship and support from Torfaen County Borough Council, Torfaen Youth Service, National Museums Wales, Cadw, Monmouthshire County Council, Blaenavon World Heritage Environment Group, Blaenavon Town Council, Blaenavon Town Team, Heritage Lottery Fund. Article 4 of the World Heritage Convention states that each State Party has ‘the duty of ensuring the identification, protection, conservation, presentation and transmission to future generations of the cultural and natural heritage’(UNESCO 1972); it is through Outreach and Education that this ‘transmission’ is undertaken. The Convention expands on this further by stressing the social value of World Heritage Sites (WHS), as Article 5a demands that heritage becomes ‘a function in the life of the community’ (UNESCO 1972). It is important to remind WHSs and partners, that Education and Outreach is a duty and obligation. This is a timely reminder as many World Heritage Sites in the UK are undergoing a period of change through restructuring and the rewriting of their Management Plans. There is no doubt that this summit provided an important reminder of this! I am based at the Ironbridge International Institute for Cultural Heritage, University of Birmingham, undertaking an AHRC funded Collaborative Doctoral Award (CDA) Studentship with the Ironbridge Gorge Museum Trust (IGMT), on Education at World Heritage Sites- with Ironbridge as my case study. I am now in my second year. I am one of four CDA studentships working together with Ironbridge Gorge World Heritage as a case study, each focussed on different aspects of Communicating Outstanding Universal Value: within tourism, communities, education and in the context of Industrial heritage. Given my PhD research into the pedagogical approaches of communicating Outstanding Universal Value, the summit activities allowed me to undertake informal observational study into the varying pedagogy and interpretation of the World Heritage Site. From guided walks by experts (managers and ex-miners) and youth ambassadors, first person costumed interpretation, hands on and experiential activities, and debates. I hope to write more about this in the future. My research question is ‘how are World Heritage values communicated within the learning process’. Research Aim 1: To what extent are World Heritage values embedded in the formal learning process (school visits and workshops at the site)? Research Aim 2: Does being World Heritage change the educational experience? Research Aim 3: How is the World Heritage concept and UNESCO processed by the visiting schools and colleges? Research Aim 4: What may be the implications for World Heritage Sites and Education globally? 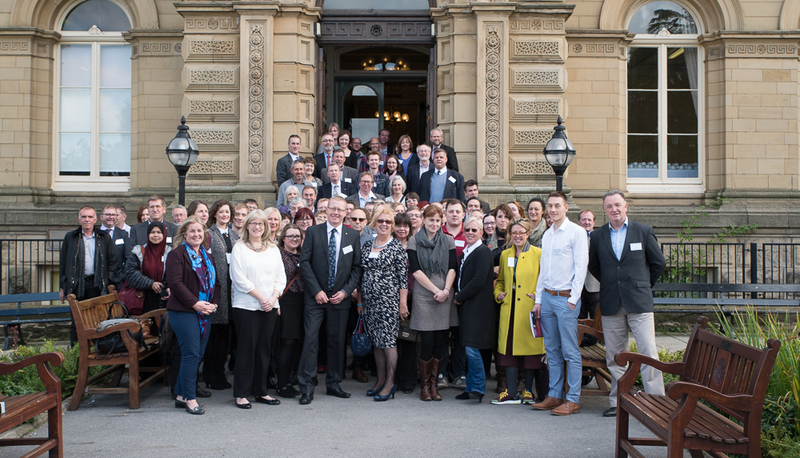 Last week a large group of professionals working with or alongside World Heritage Sites got together in Saltaire for the inaugural World Heritage UK conference, alongside a few ‘interested observers’ like myself. It was a great two days with a real buzz of positivity and creativity in the room. There were a number of key ideas and themes that emerged, reflecting the fact that, although the UK’s World Heritage Sites are enormously varied in content, size, visitor numbers and management structure, there are areas of commonality shared across them. The first of these is that there should be no shame in promoting these wonderful places to funding organisations, government and businesses. Not only are World Heritage Sites truly special places, they have great economic potential. 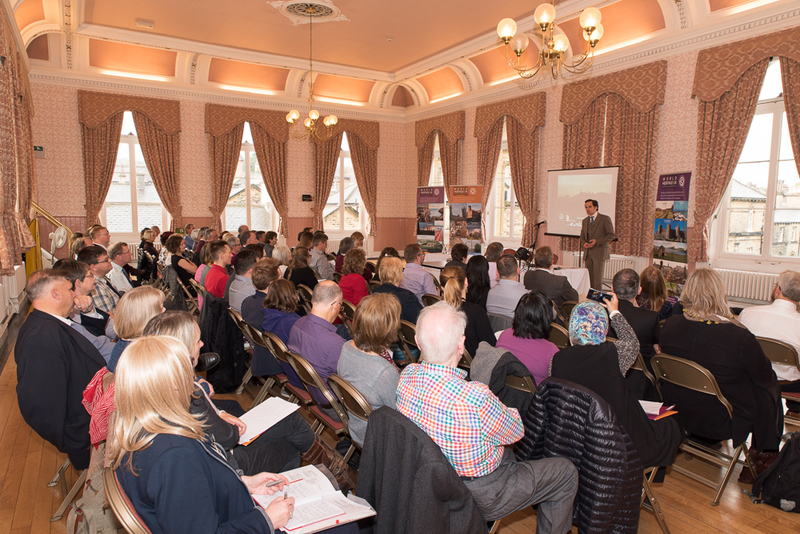 Keith Nichol (DCMS) reminded us that the English visitor economy is worth £106bn to the national economy. Heritage already plays a sizeable role in both actual visitor spend, but also in contributing to ‘Brand Britain’. The case studies from the Jurassic Coast, the Cornwall and West Devon Mining Landscape and Edinburgh showed ways in which the World Heritage Site’s brand identity could be used in local business partnerships, giving a boost to products and services in the area while contributing to future conservation work. The theme of destination management emerged throughout the conference. World Heritage Sites have the potential to be a major draw for bringing tourists into local areas, not just to the sites themselves. Visitor experience starts before they arrive at the site itself, and involves many aspects of the local community. Without forethought and integration with local businesses and the community this can lead to negative experiences, but there is a lot of potential for expanding the destination experience to benefit visitors, other attractions in the area, as well as the shops, restaurants and hotels in the surrounding region. Finally the last theme I noticed related to the importance of storytelling and narrative, not just at a site level, but in regional and national spheres also. James Berresford from Visit England made the point that people don’t really visit England, they visit places in England, although this is arguably different for Scotland and Wales which have a strong ‘national brand’. In the breakout sessions there were a number of suggestions of how inter-site narratives could be created, both between World Heritage Sites across the country, and at other sites in the local area. These kind of approaches have been developed at the Cornwall and West Devon and Loire Valley sites presented at the conference, and no doubt elsewhere too, but could also be attempted outside of the large landscape wide World Heritage Sites. Perhaps with these kind of approaches Keith Nichol’s assertion that UK World Heritage is greater than the sum of its parts could be fully developed. What did you think of the conference? Well, the van is unpacked and the trip north is over, as is the inaugural conference of World Heritage UK. I thought it was great, and will post more next week about my reflections on it. But more importantly we need to know what you thought, and if you were there, please could you complete our feedback questionnaire. Please also feel free to comment on, or ‘like’ this or other blog postings – it will help us in getting better search ratings with Google. More photos from the conference will follow. The conference is upon us! 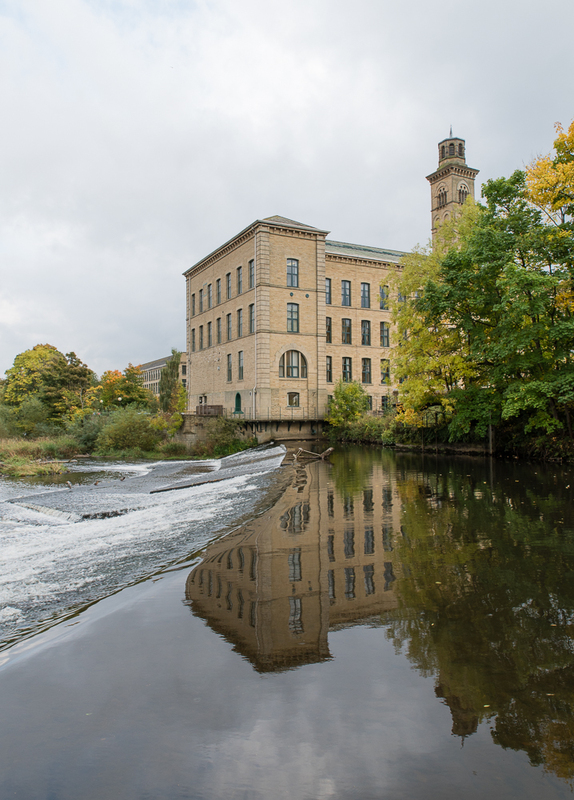 OK – speech written, shirts ironed, last minute panics over (I hope) and tomorrow I shall be packing some exhibition material into a van and heading up to the Saltaire World Heritage Site in the mighty city of Bradford. The programme assembled promises to provide a fascinating mix of national and international perspectives, case studies, academic viewpoints and more. If you add on the Mayoral reception, curry night and tours, it has the makings of a great couple of days. If you are coming, I look forward to seeing you there. If not, we will publish presentations and other reports from the event on this website, so please do watch this space. In some respects, World Heritage UK starts in Saltaire on Wednesday morning, although some might say it started in 1986, and has just been waiting for the right time to start speak up about it; I hope that we can say after this week that the speaking up has started. It only remains for me to thank the organising committee for getting us to the that start line, and for such a great team effort.